CT AHEC and UConn Health (under contract with the National Science Teachers Association) are pleased to sponsor the 2019 Connecticut Junior Science and Humanities Symposium (a part of the U.S. Army, Navy and Air Force Junior Science and Humanities Symposia Program). JSHS is designed to challenge and engage students (grades 9-12) in science, technology, engineering or mathematics. 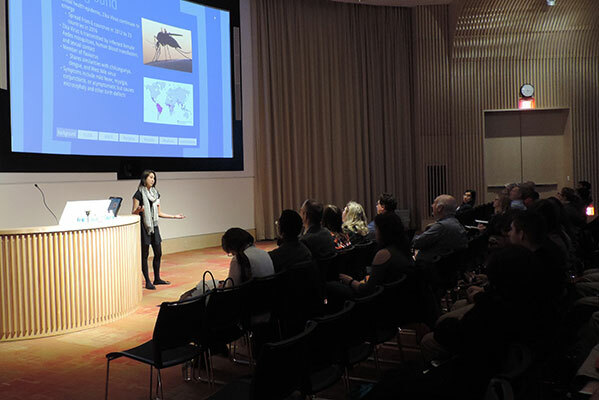 Individual students compete for scholarships and recognition by presenting the results of their original research efforts before a panel of judges and an audience of their peers. The top five presenters at the CT-JSHS will be invited to attend the National Symposium April 24-27, 2019 in Albuquerque, New Mexico, fully paid for by JSHS. We also offer cash and scholarship awards totaling close to $23,000. 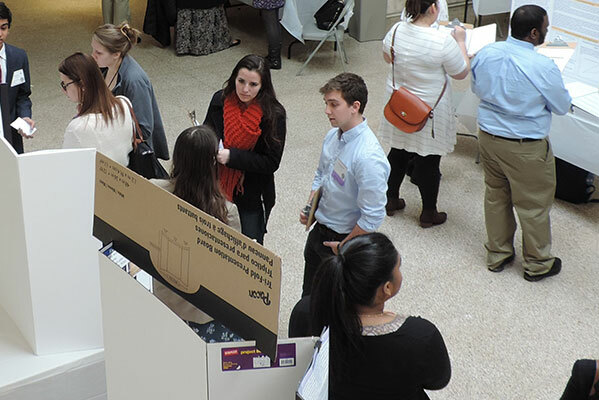 At the CT-JSHS, CT students compete, exhibit or simply observe their peers. The official day begins with registration at 7:30 a.m., followed by welcome, keynote, and then three simultaneous tracks involving oral presentation sessions, competitive poster judging, lab tours, career panel, STEM poster exhibition (noncompetitive), EASTCONN's Mobile STEM Lab, and a humanities activity. The day concludes with a banquet/awards ceremony from 5 to 6:30 p.m.
Over the years, these Symposia have been effective in enhancing high school student motivation, stimulating original research and providing the setting for exciting scientific meetings. Mature scientists have often expressed astonishment at the high level of student accomplishment. The National Association of Secondary School Principals has placed the JSHS program on the NASSP National Advisory List of Contests and Activities for 2018-2019. Each participating high school attending must provide a chaperone for their students’ delegation at the CT-JSHS. We must limit each school to ten participants and will only accept the first ten received.